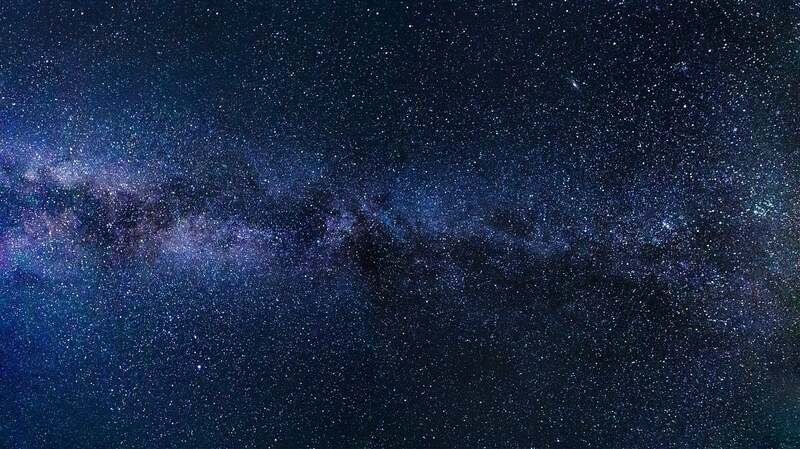 The rapidly growing human population, urbanization, and artificial lighting have made it nearly impossible for city-dwellers to get a clear view of the night sky. According to Babak Tafreshi of The World at Night (TWAN), about two-thirds of the world’s population is living “under light polluted skies.” You can’t get a good view of the stars, planets, and other celestial bodies in cities. If you love stargazing, you have to go to places where the sky is dark and clear. Here we take a look at the top 10 best stargazing sites in the world. The Himalayan villages are blessed with crystal clear skies. Looking at the stars over the world’s tallest mountains is once in a lifetime experience. Nepal is home to eight of the world’s ten highest mountains including Mount Everest. The high hiking treks in Nepal are also astrotourism hotspots. The unpolluted skies over the Kerry International Dark Sky Reserve in Ireland offer a stunning view of star clusters and the Andromeda galaxy with the naked eye. The dark sky reserve has the Atlantic Ocean on one side and the Kerry Mountains on the other. Inscriptions on the prehistoric monuments in the region suggest the ancient inhabitants had been observing stars and planets for thousands of years. The Death Valley National Park is located in the proximity of large cities such as Las Vegas and Los Angeles, but their artificial lighting has little impact on the night sky over the Death Valley. Astronomy organizations and park rangers hold several night sky programs and events between November and April. The Death Valley is one of the best places in the United States to observe the meteor shower, the lunar eclipse, and enjoy the stunning expanse of the Milky Way galaxy. The west Australian outback is incredibly dark. Satellite images taken by NASA show just how dark it can be. The best stargazing sites in the Australian outback are the Nambung National Park, Uluru, Arkaloora, Warrumbungle National Park, and Wilderness Sanctuary. The dark sky gives you a clear view of the stars in the Milky Way galaxy. If you have an astronomer accompanying you, they can help you locate the famous stars. La Palma Island of the Canary Islands archipelago is incredibly popular among astrotourists because of its clearest and darkest skies. Tenerife, the largest island of the archipelago, has passed a law to control flight paths to ensure that they don’t affect the stargazing conditions. In 2002, La Palma Island was declared a UNESCO Biosphere Reserve. The Canary Islands are also home to the Gran Telescopio Canarias, the largest operational telescope in the world. The National Parks in the American West offer excellent conditions for stargazing. Most of them are far from large cities and artificial lighting, and they are located in sparsely populated areas. The Yellowstone National Park in Wyoming, Big Bend in Texas, and the Badlands in South Dakota are known for offering stunning views of night skies. Aoraki Mackenzie is the world’s largest dark sky reserve. It is one of the best places in the southern hemisphere to spot the Magellanic Clouds, the Southern Cross, the Southern Star, and the Aurora Australis. Tens of thousands of people take night sky tours at Mount Cook and Lake Tekapo every year. However, the view is not so great during the full moon. Mauna Kea is more than 4,000 meters above sea level and is home to one of the world’s largest optical telescopes. The high altitude and cold temperatures could affect your health, but for sky-lovers it’s totally worth it. If you don’t want to go to the summit of Mauna Kea, you could gaze at the vast sky and the Milky Way galaxy by lying on the beach. The NamibRand Nature Reserve was the first reserve to get the Gold Tier status from the International Dark-Sky Association. It’s located in the flat and arid Namib Desert. The reserve is more than 60 miles from the nearest village, and its skies are among the darkest of all places on Earth. Astrotourism is growing rapidly in Namibia as it offers a 360-degree view of the Milky Way galaxy. The Atacama Desert in Chile is by far the best stargazing site in the world. It offers the perfect conditions for stargazing – dry air, high altitude, and zero light pollution. The Atacama Desert has some of the world’s most powerful telescopes and observatories. The desert receives only one millimeter of rain per year, which also helps keep the skies clear. Astronomers and sky-lovers visit the Atacama to observe distant galaxies, planets, stars, and cosmic phenomena.